Since our last post, we’ve been hard at work implementing player feedback from the game and gearing up for the BETA. A lot of it is testing and bug fixing which is pretty boring stuff so we won’t to go into those details and send you to sleep. 2018 is behind us and 2019 is well underway. We have lots of exciting things bubbling away at Glitchers and with haste (excitement?) 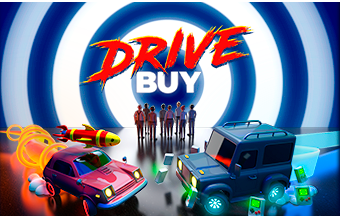 we accidentally announced our first ever PC online multiplayer game to twitter — it’s called ‘Drive Buy’. Already off to a bang, we were super excited to be featured amongst our peers in Kotaku’s ‘Games of 2019’ British List.